A few years ago some suggested that Europe’s political situation could best be characterized as “crisis upon decline”. A decline in the sense of other actors and other regions catching up or even overtaking the privileged positions of western states in the world system. Since then, however, Europe’s geopolitics have suffered increasing uncertainty. 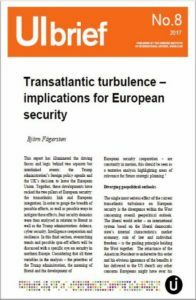 Political turbulence in the UK and US has rocked the pillars of European security i.e. European integration and the transatlantic link as well as their institutional manifestations, The EU and NATO. 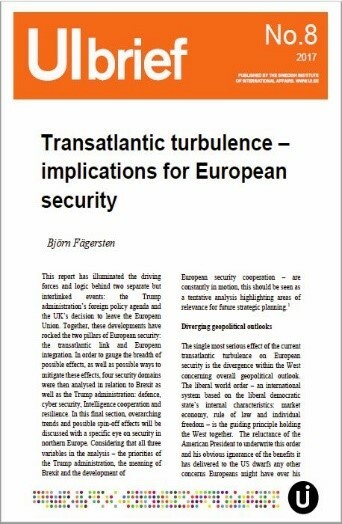 This UI brief illuminates the implications of Brexit and Trump on the two pillars of European security, the transatlantic link and European integration.